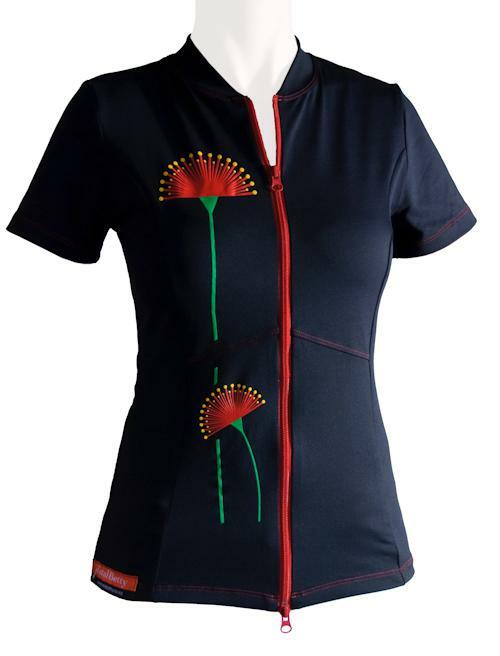 This all black Meryl shirt, with red stitching and zip provides the perfect back drop for the bright pohutukawa inspired design by Rebecca Burton. 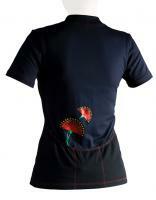 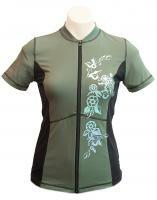 The two way zip and back pockets add function and the flowers front and back add flair. Look good and feel great in this flattering and fun design.